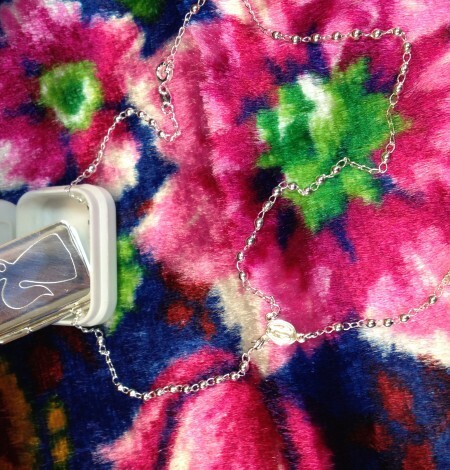 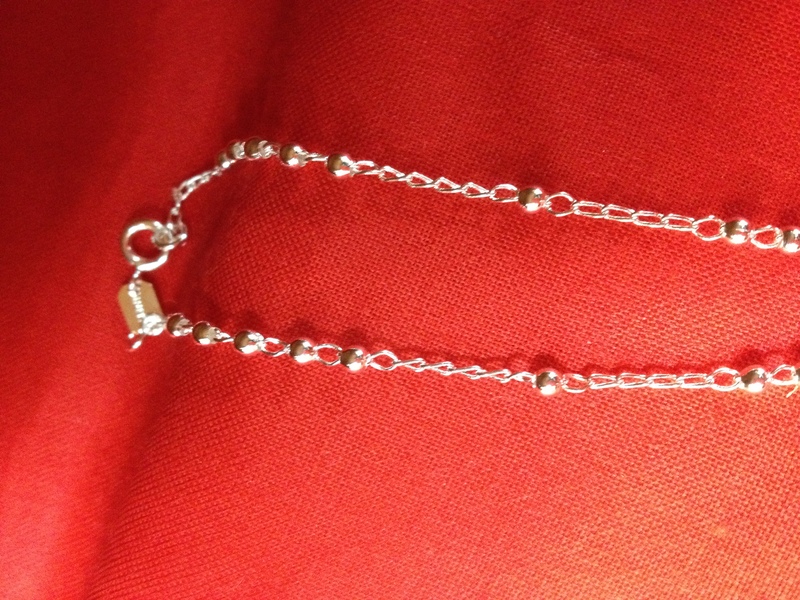 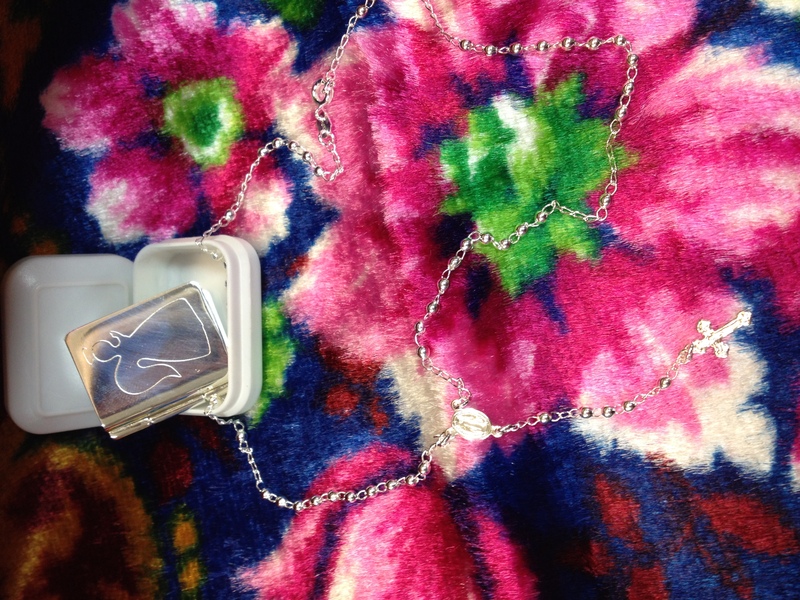 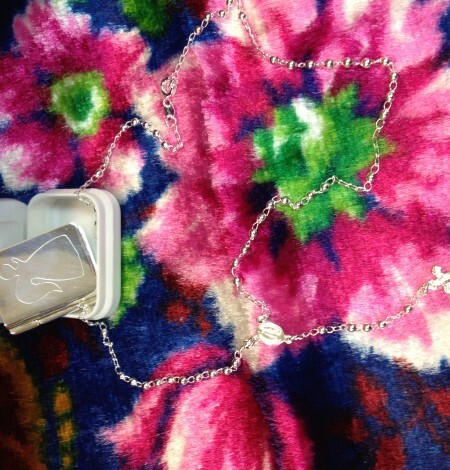 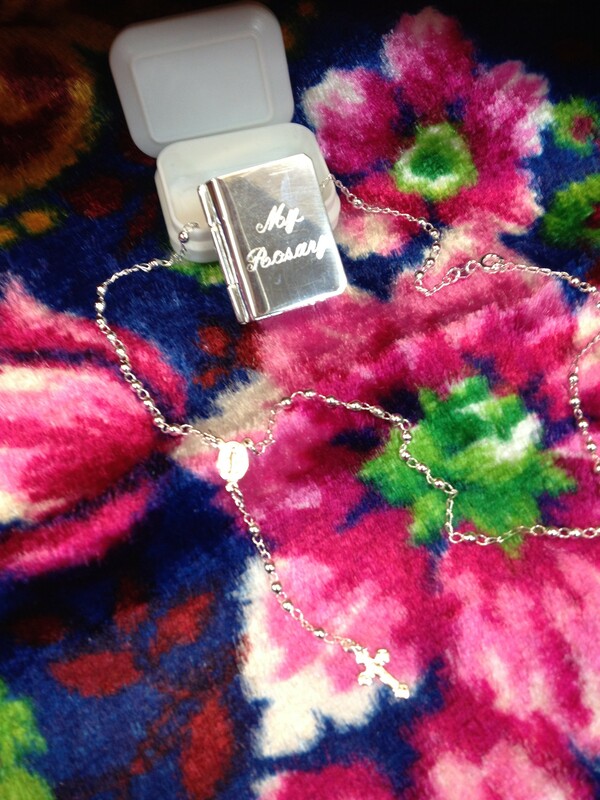 Boxed rosary necklace includes a beautiful case that simulates the look of a tiny bible. 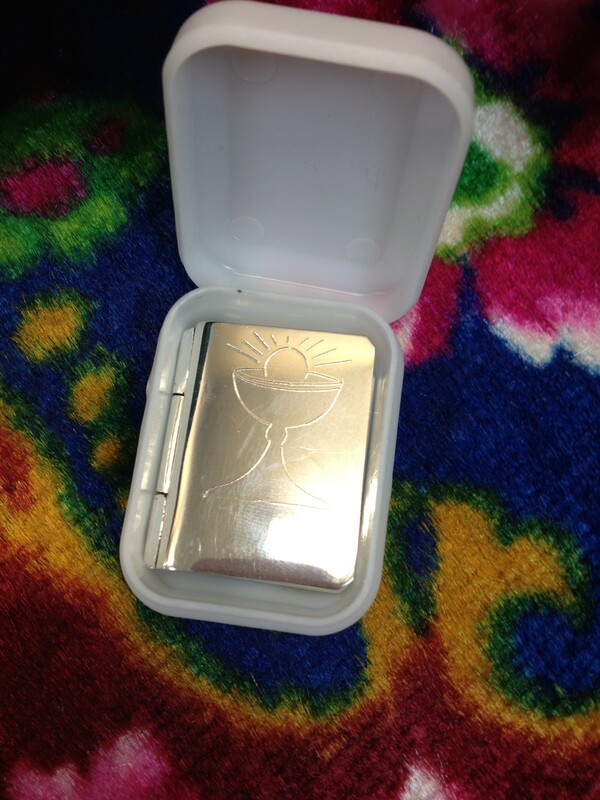 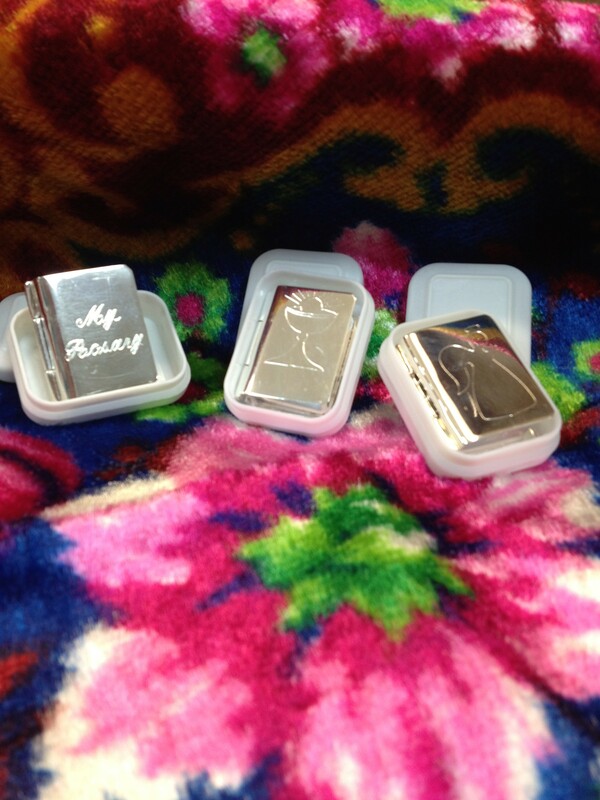 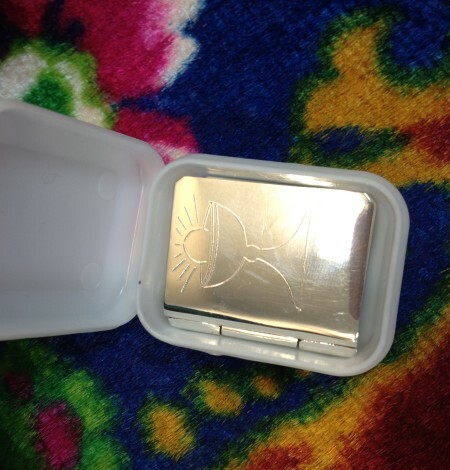 The three bible case front choices are: Chalice, Angel and My Rosary. 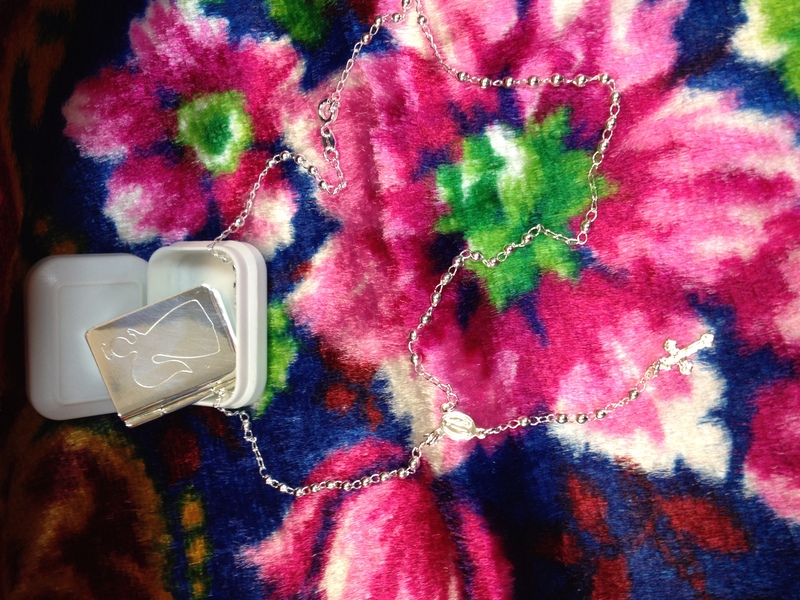 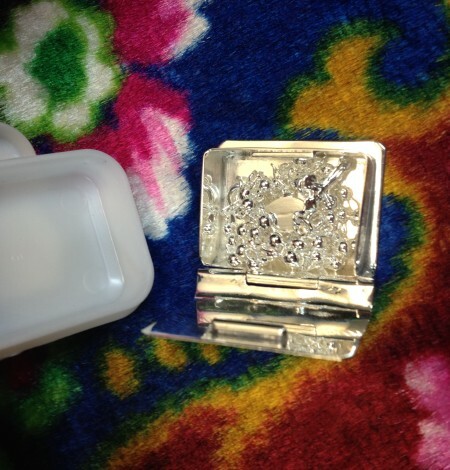 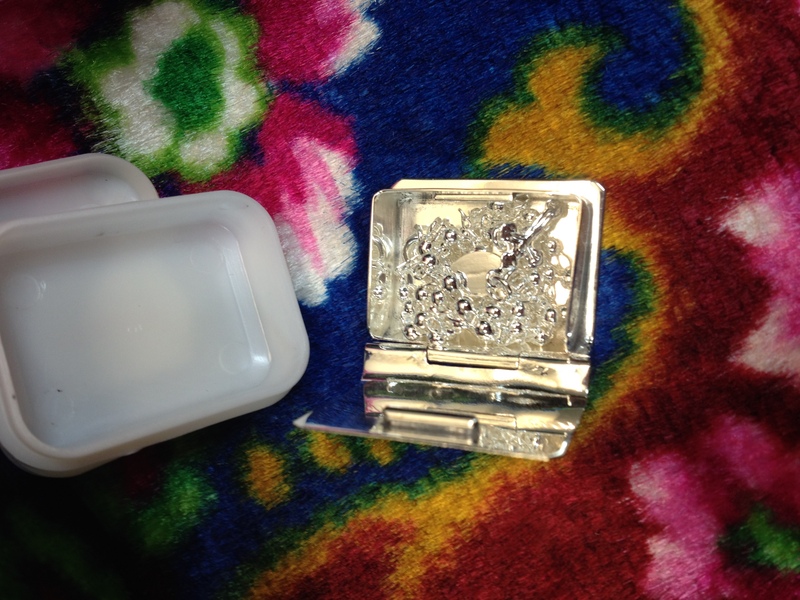 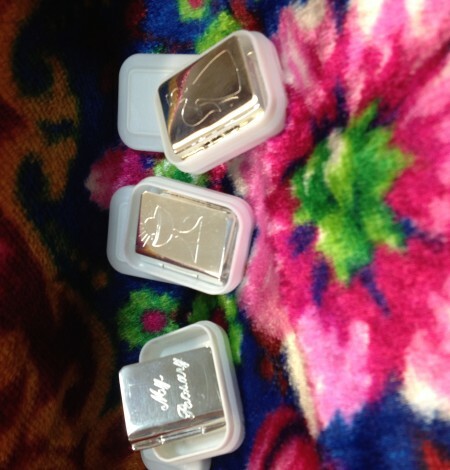 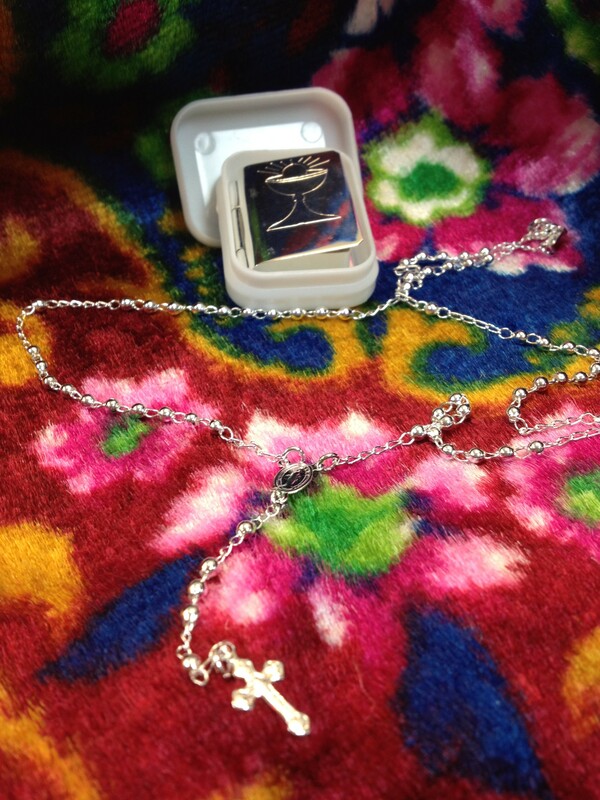 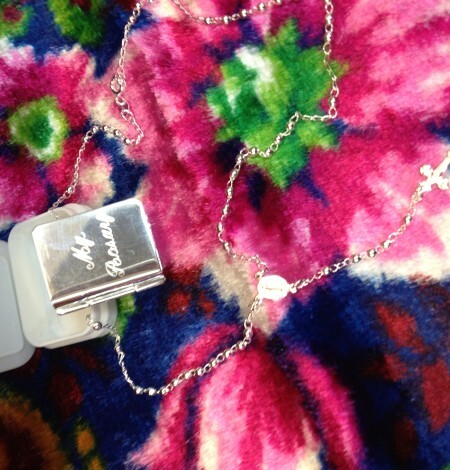 Each comes in a hard plastic white box with top, an inside removable “bible case” and a silver tone rosary necklace with a clasp. 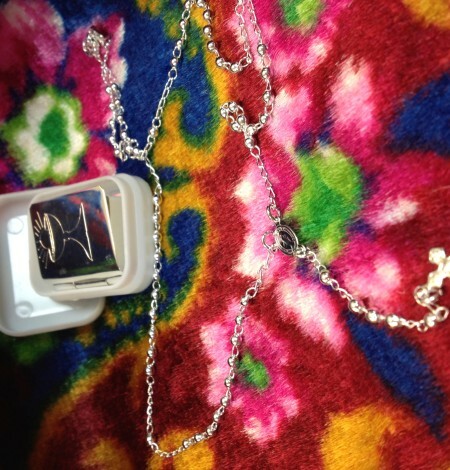 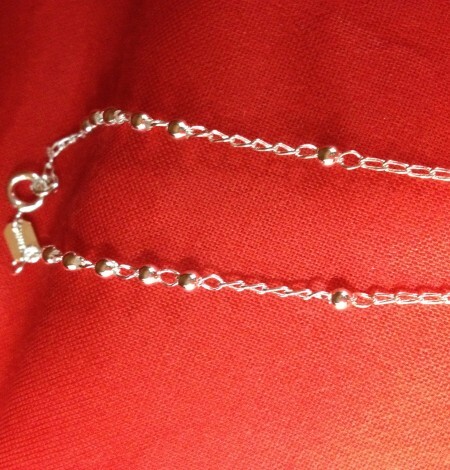 This is a delicate tiny necklace that would make a wonderful gift for a young lady making a sacrament, having a special birthday or a keepsake for the birth of a child. 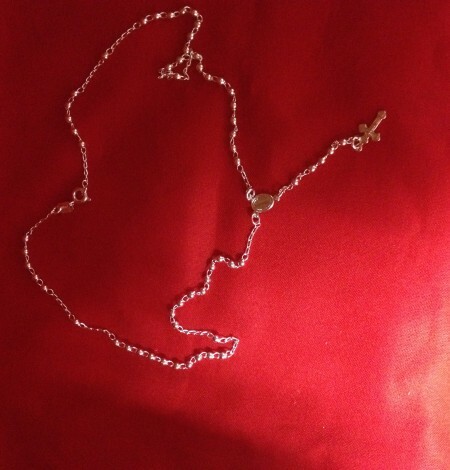 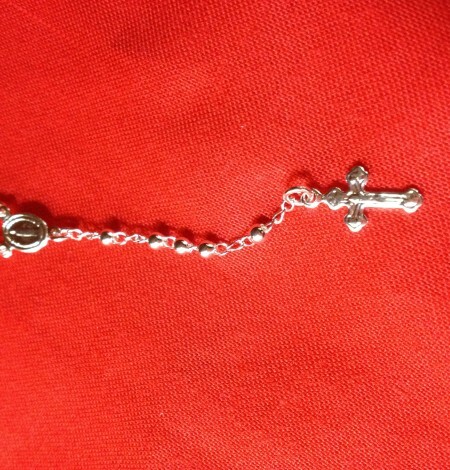 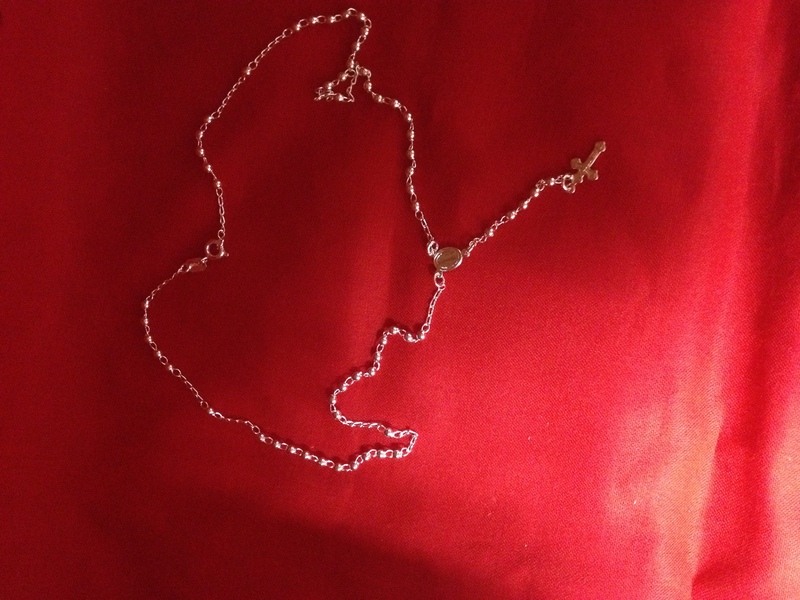 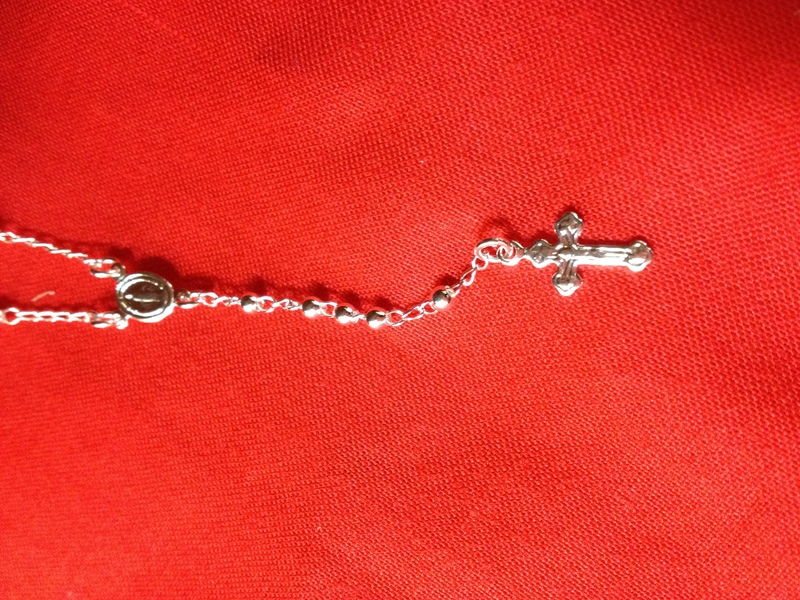 Approximately 18″ necklace circumference with a 3″ hang from medal to top of the cross.